DR. COOK'S BITLESS BRIDLE - THE BRIDLE THAT STARTED THE BITLESS REVOLUTION! SAFE, GENTLE, EFFECTIVE CONTROL AND CLEAR COMMUNICATION. Made in the USA- The Deluxe Western Beta headstalls are made of the highest quality 5/8” wide Beta from Genuine BioThane USA. Beta is the closest thing to leather, with a slightly grainy texture and low-sheen to give it a leather-like appearance. Made with a nylon core and vinyl coating, it is highly durable and easy to clean. It will stay supple in freezing weather and will not dry out or become brittle with age. If you are looking for a durable,very low maintenance flashy bridle this is it. Beta will not fade in color, mold or mildew, absorb odors, dry out or crack, and it wipes clean in seconds. 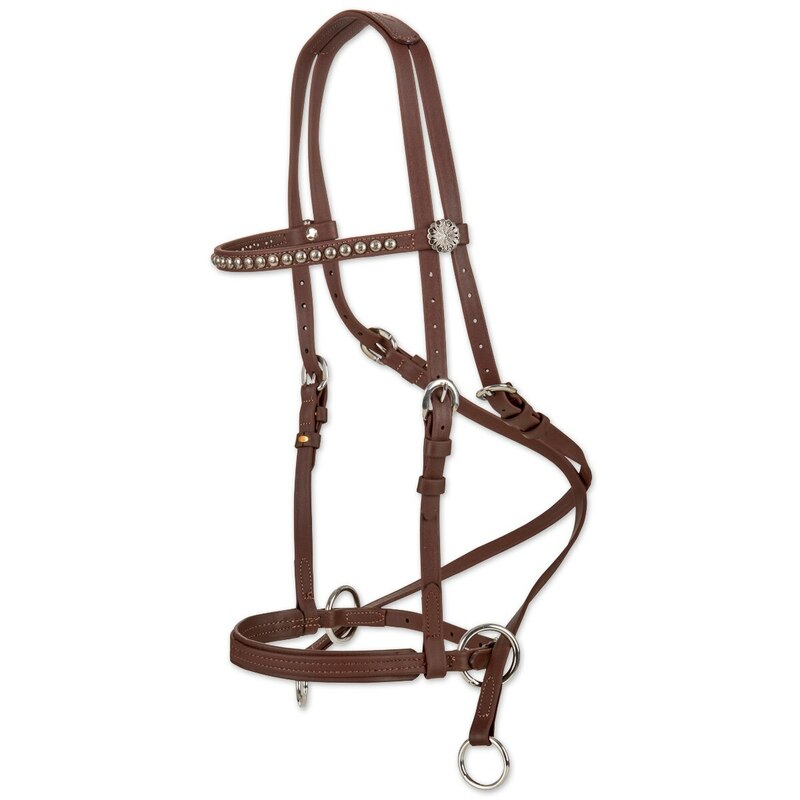 SmartPak Exclusive Dr. Cook® Deluxe Western Beta Bitless Bridle is rated 5.0 out of 5 by 1. Rated 5 out of 5 by Julielyn68 from Beautiful!! This is gorgeous!! I have the original Dr. Cook bridle and love it so I went for this one for the western look. One of my horses always fought the bit, now she is so relaxed when riding and I couldn’t be happier!!!! I love that I can clean this with water, love leather but this is great living in FL with so much humidity. Couldn’t find any reviews on this one, just went for it, a must buy!